California based Shelter Co. expands their successful retail line with a limited edition color way of Meriwether Tents inspired by regions of their home state. 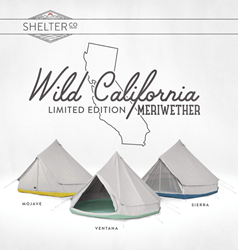 Shelter Co. is excited to announce Wild California, a limited edition collection of their Meriwether Tent line. 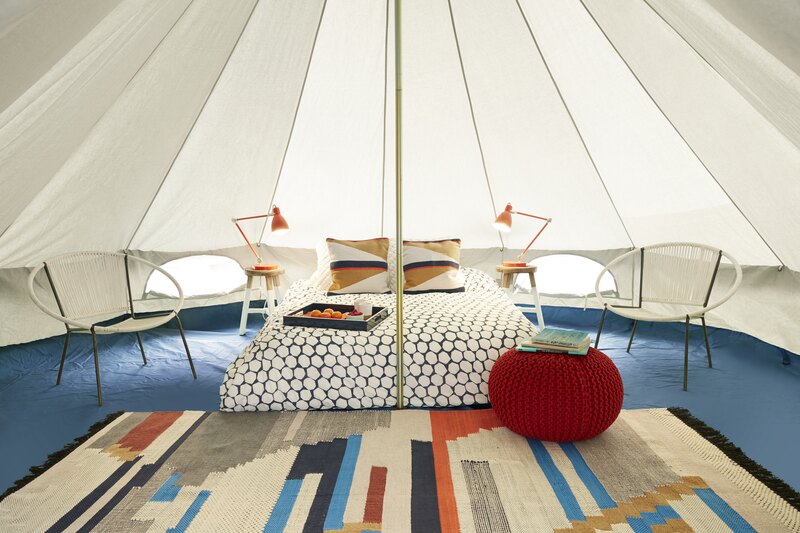 This limited run of tents features a grey canvas tent with three groundsheet colors (Mojave, Ventana and Sierra) inspired by different regions in California. 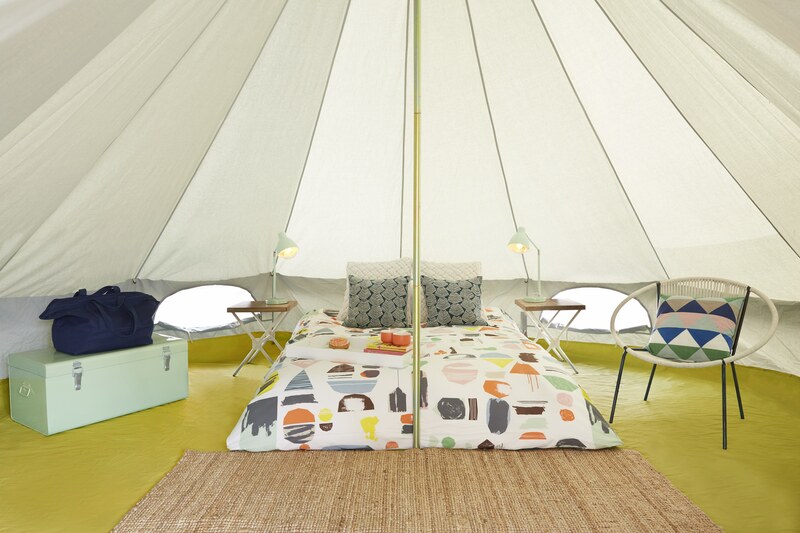 Each tent is 16 feet in diameter and stands 9.5 feet tall at the center, large enough to comfortably sleep 4-6 adults. 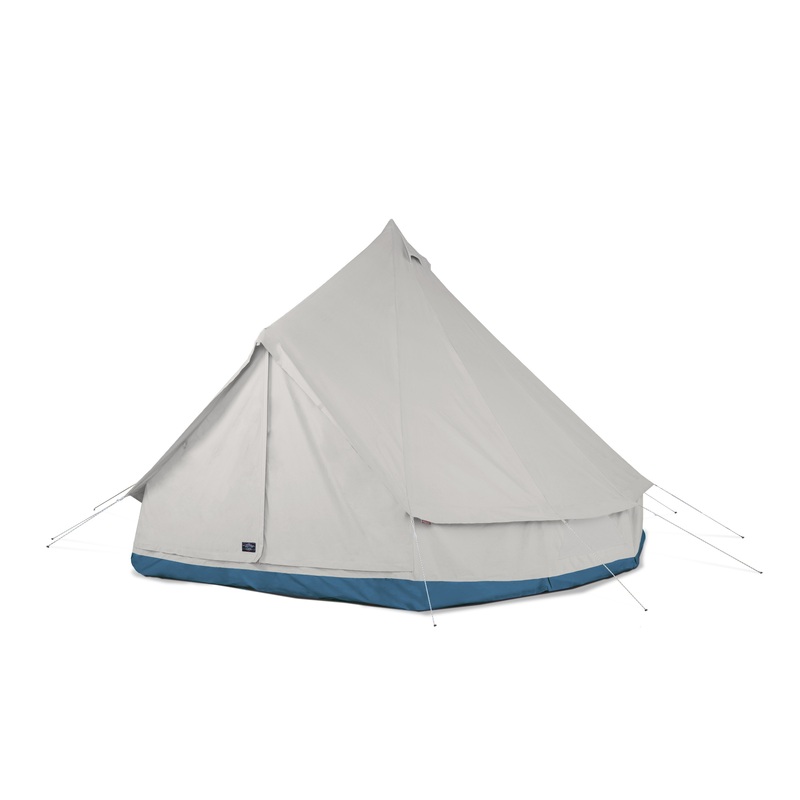 The tent includes stakes and poles and has a dry weight of 85 pounds with a fully attached waterproof vinyl ground sheet and water resistant canvas upper. Ventilation on the Meriwether comes from a fully closable front screen door as well as four closable sidewall screen windows and three screened vents at the apex. Setting them apart from the competition, Shelter Co. constructs their tents to meet or exceed NFP 101 and CPAI 84 standards for flame resistance, making them legal for sale in all 50 states including California. 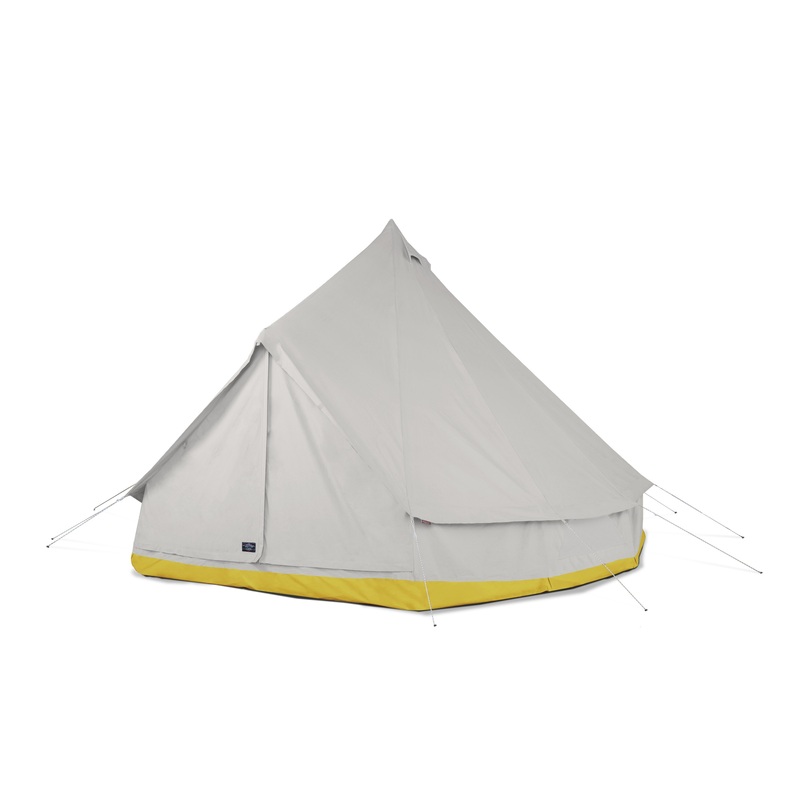 They are the only US based company who meets these standards for this particular style of tent. The Meriwether tent retails for $995.00 and currently comes in grey with three groundsheet colors as well as khaki with matching khaki groundsheet. 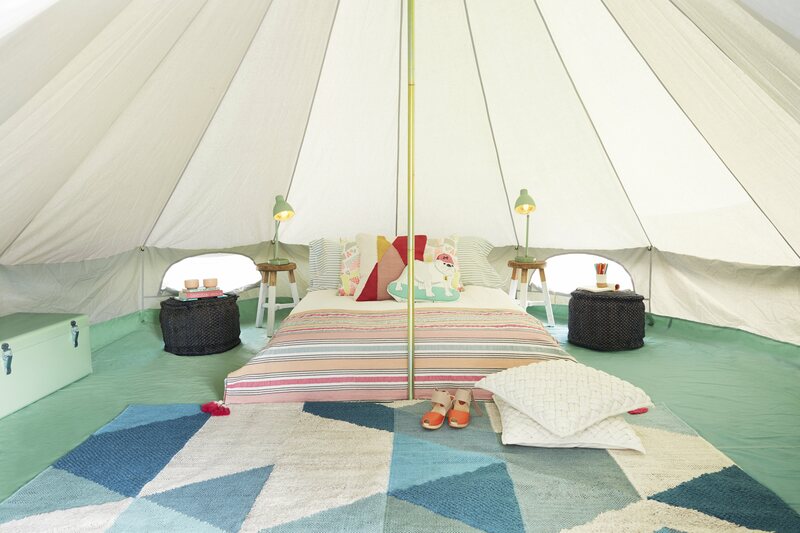 Shelter Co. is a production company offering luxury pop up lodging for events nationwide. They provide fully furnished canvas tents and all necessary amenities for weddings, family reunions, corporate retreats and music festivals. The wild success of their rental company led to the creation of their retail line, Shelter Co. Supply to allow anyone a Shelter Co. experience in their own backyard. Shelter Co. currently has rental facilities in San Francisco, California and Austin, Texas.